Disadvantages of Gantt Charts – How Can Gantt Charts Stifle Projects? Gantt charts have long been used by project managers in order to visualize the project schedules and task dependencies. Every action item and milestone are visually represented in a Gantt chart. The start times and end times of each task are represented on the chart, and a bar runs between the two dates depicting the duration of each item. Benefits of Gantt charts include clarity, communication, motivation, time management, and more. Because Gantt charts are so widely used, not many question whether dependency on the charts comes with disadvantages due to their limitations. As much as Gantt charts have benefits to project management, they are limited. The first limitation of a Gantt chart is that it relies upon the work breakdown structure to have already been constructed – and for it to be complete. Should there be major tasks missing from the WBS, or should a major milestone be missing, the Gantt chart will not tell you. In fact, if you are attempting to create the work breakdown structure at the same time you are constructing the Gantt chart, you run the risk of having to recreate the entire project schedule if something is left out, a duration is mis-estimated, or another mistake has been missing. A second limitation of the Gantt chart is that it only works well with smaller projects. Once the durations and tasks stretch past one page, the Gantt chart begins to lose its functionality. Part of the reason this is undesirable is that if the chart is more than one page, it will become difficult to view the chart on a computer screen. Moreover, the Gantt chart does not do well to depict complexities. For example, if a milestone has multiple tasks required for its completion, and each of those tasks has sub-tasks, the Gantt chart cannot depict this well. For this reason, project managers should not rely solely upon the Gantt chart for project management needs. Finally, Gantt charts do not do well with dealing with project triple constraints. The triple constraints are: Time, cost, and scope. The cost of a project is not depicted on a Gantt chart. Also, the full scope of a project cannot be depicted in a Gantt chart. No matter how detailed the Gantt chart is, the full complexity is not depicted. This is because the main focus of the Gantt chart is time. Because of their limitations, Gantt charts are a disadvantage whenever a project manager and her team rely too heavily upon the Gantt chart for their project management needs. The Gantt chart should be used as tool along with other methods including cost management software and a formal project plan. 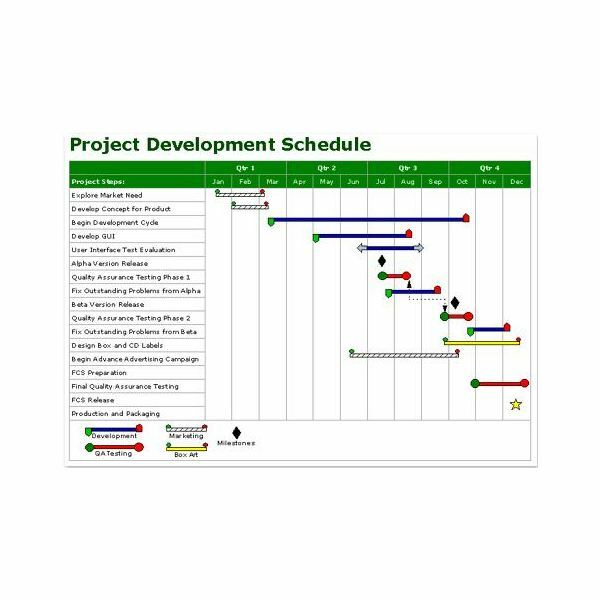 By seeing a Gantt chart as just one of the tools used with proper project planning, the limitations are balanced by the strengths of other tools. Gantt charts are also a disadvantage whenever they are seen as immutable. Because project requirements may change over time and because project managers must be able to adapt to the situation and circumstance, the Gantt chart should be seen only as an outline that can be changed as project needs change. For example, if during the project completion phase, an issue is brought to attention that requires problem-solving, flexible project managers can add it to the project timeline and update the Gantt chart. Finally, Gantt charts are a disadvantage whenever much information needs to be depicted for a complex project. Gantt charts do not show well what resource has been assigned to which project task. Nor do they depict multiple scheduling possibilities or intricate task-dependencies. Any time there is a complex project, the Gantt chart will showcase its disadvantages strongly.